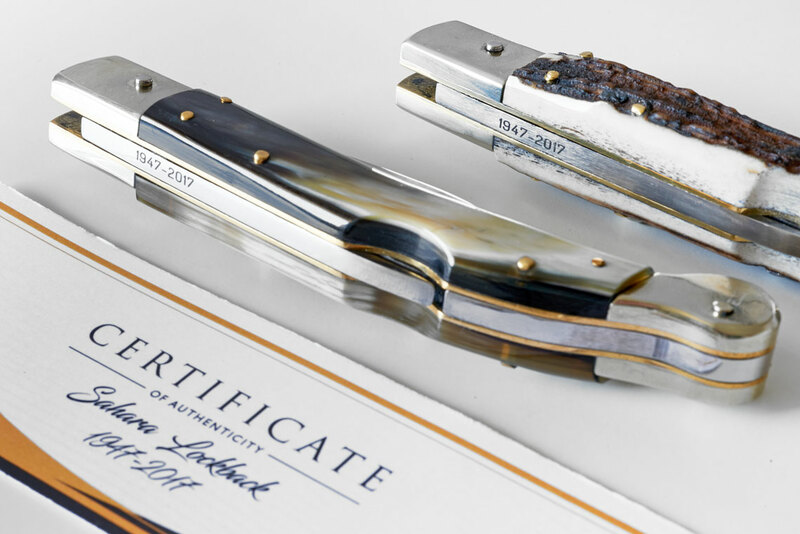 This 9” lockback called Sahara is fabricated by A.G.A.Campolin master craftsmen in Maniago, Italy, on june 2017 for the 70th anniversary of the company. It was hand made using the same old knifemakers techniques introduced by italian knifemakers on beginning of 1900. 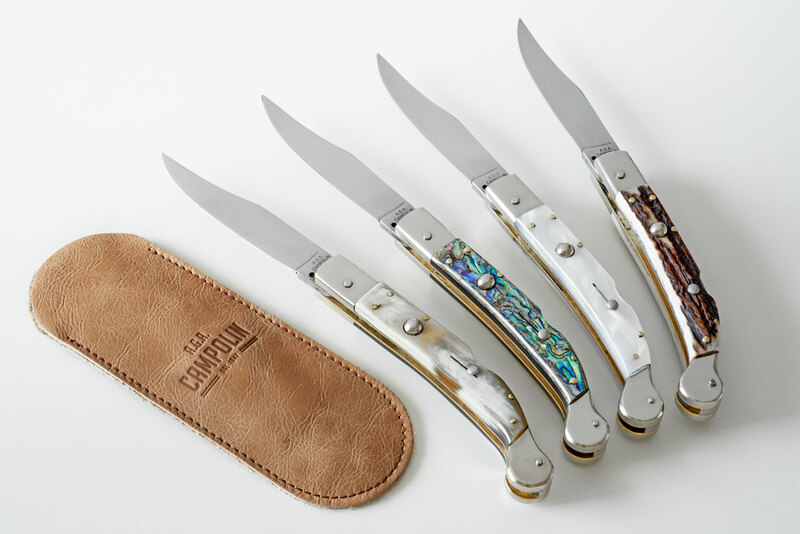 For these knives they used selected stag horn, brazilian cow horn, Abalone shell and imitation pearl. 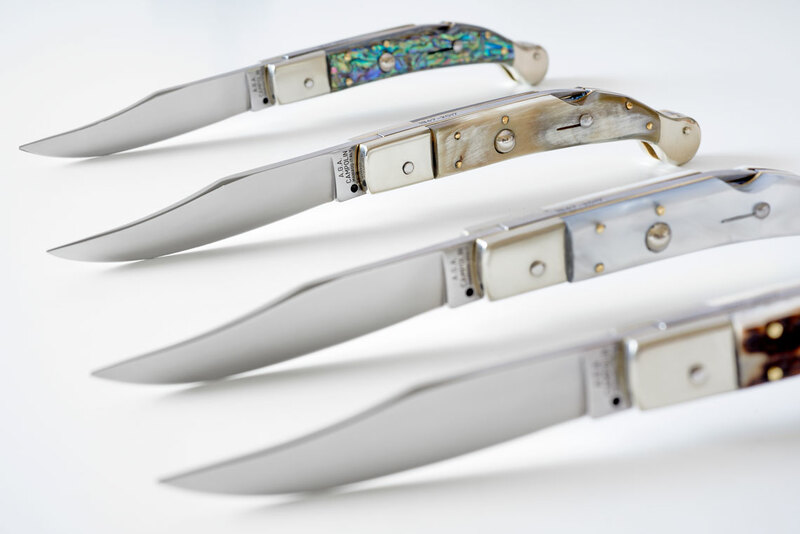 Each bolster is made of solid nickel silver. The liners are thick solid brass and the blade is 440A stainless steel well sharped. 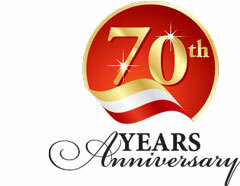 Come with certificate handsigned and leather pounch.